There’s something about the Basket Range. 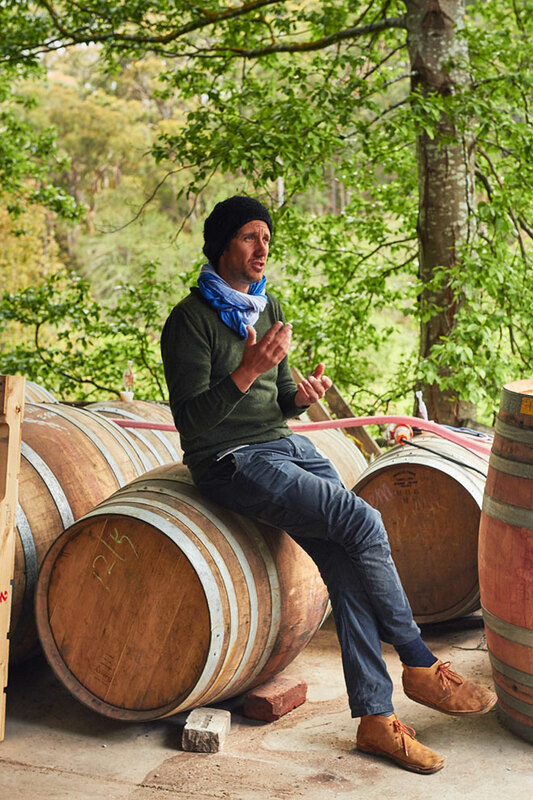 This hilly utopia in the Adelaide Hills has lured a high concentration of renegade thinkers, who are steering the direction of winemaking in Australia and influencing both conventional and maverick vintners with their focus, intent, and dangerously drinkable drops. There is an incredible energy to this place and its people. The charm and enthusiasm of its winemaking inhabitants is infectious, and leaves travellers who were merely passing through, or distant friends simply visiting for a weekend, quickly plotting a longer stay. This magnetism draws to mind the romantic narratives of Masanobu Fukuoka’s organic farming commune. The farmer and philosopher wrote the 1975 manifesto on a return to natural farming in Japan, and city-weary, farm-curious folk would pilgrimage to his plot in Shikoku in search of peace, understanding and a nature-bound life. Similarly, inquisitive and conscious-of-mind visitors quickly catch the Basket Range bug. And the Basket Range swiftly and affectionately absorbs these newcomers into the folds of its welcoming community. Anton van Klopper of Lucy Margaux Vineyards was one of the original renegade thinkers on the range. He took the early blows and paved the way for others to follow. He’s kind of like The Godfather of the collective. It was through Anton that James Erskine came to establish Jauma. “Anton was the original person up in the region who started to promote this culture of challenging the paradigm. You need a certain type of personality to be able to have a crack at things and stand up in front of other people and believe in yourself, and he certainly inspired me in many ways,” James says. 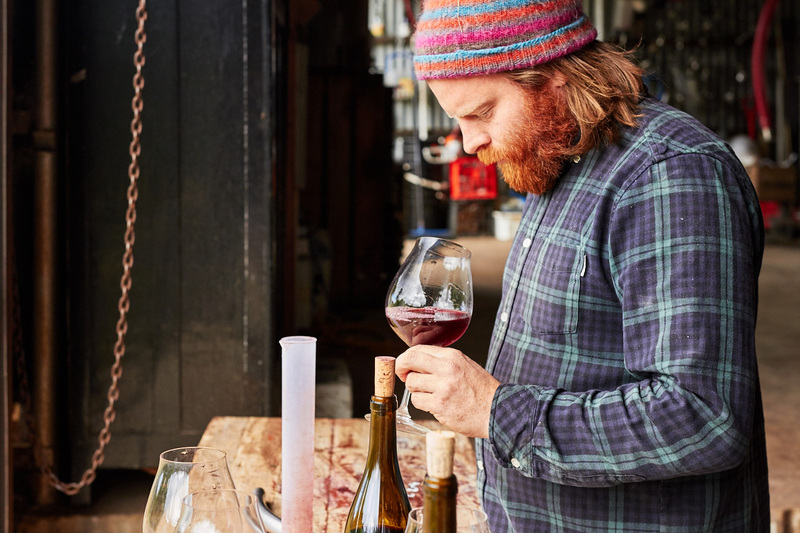 A lauded sommelier, with a degree in soil chemistry, James had been hanging up in the hills with Anton for two years while consulting at a winery at Woodside when he realised he had all the skills he needed to give winemaking a right hard crack. “Anton was very generous and said, ‘Look, in the first year there’s going to be a hell of a lot of outlay. Why don’t you just use my equipment? Your rent can be that you can help me’. It got me off the ground basically,” James says. That openness and willingness to share knowledge and equipment was catching, with James paying this generosity forward, lending a hand to Gareth Belton of Gentle Folk Wines and Alex Schulkin of The Other Right. It’s this tutelage and support, as well as a shared belief in organic versus conventional food and farming, that saw this coterie of vanguardists decide to make wine with a light touch. “I really care about what planet we live on and what planet my children and my grandchildren are going to live on. 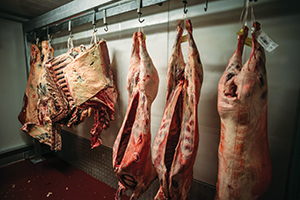 The more we do now, the more we minimise the damage,” Alex says. Anton’s natural modus operandi is to question and break rules and systems. He too received first class honours at the University of Adelaide and made wine across various levels of convention and intervention for others in Germany, New Zealand and the United States. But he returned to the hills in 2002 and started experimenting. “I learnt so much at university and I’m so thankful for what I learnt, and I understand the concept, but it didn’t sit well with me. I couldn’t really find the answers in my study. So I went about disproving all the things that I was uncomfortable with. I didn’t really do it to prove a point; I just wanted to see what was possible. Once I started doing it, there was a little bit of backlash by some people, and a little bit of a following from others. Some that thought it was great to have freedom, and some that publicly berated what I was doing.” Anton is conscious that the holistic approach to wine and lifestyle that is a common thread amongst the Basket Range motley crew may induce a perception of hippy winemakers nesting in the hills, growing their own produce and living in accordance with nature’s rhythms. But these “crazy cats”, as Gareth dubs them, are at their core scientists and philosophers, critically questioning each other’s motivations and their liquid creations. Taras Ochota of Ochota Barrels is also classically trained, having studied oenology and worked for vineyards both locally and globally. But he’s also the punk of the gang—and it’s impossible to have a boring time when he’s around. 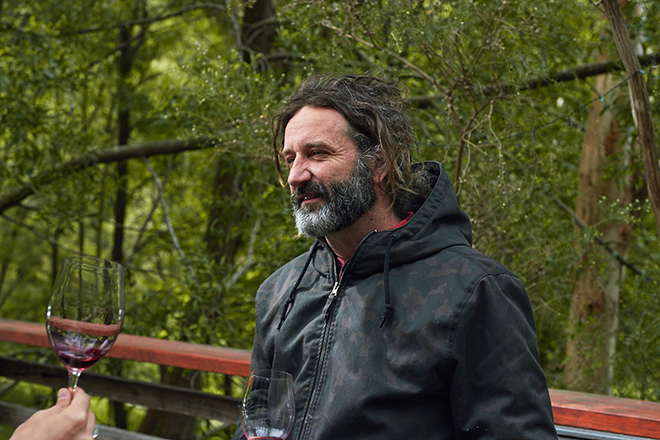 He’s up to his 25th vintage—the past eight have been Ochota specific—and he says he’s becoming more and more relaxed as a winemaker. “It’s basically about working with Mother Nature and dodging the bullets that she fires. But the bottom line is always remembering it’s only a drink, not to take it too seriously and relax. I don’t work very hard during vintage. I like to finish early, have a cold beer, and go for a swim in the waterhole. If it can be done tomorrow, do it tomorrow.” Taras says that his wine is a product of his own personal tastes. And because his friends and family are first-hand imbibers of Ochota wines, growing organic grapes is key. “I grow my vegetables organically, so my son can go and pick a cherry tomato and put it in his mouth without having to worry about washing it. I take the same approach with our vineyards, not putting anything nasty on them.” Each maker of the region has a deep reverence for their entire surrounding ecosystem—the soil, the people, the grapes. It’s evident that the landscape, lifestyle and life ethics of the sub-region has played a role in shaping the mindsets, philosophies, methods, and resulting new-wave wines of these makers. Brother-sister duo Jasper and Sophie Button have been making wine under the label Commune of Buttons since 2013. However, their connection to viticulture stretches back decades, with their parents instrumental in establishing Basket Range as a prominent wine region. They planted out vines in the 1990s, when the farm was owned by a commune of three families, and sold the grapes to commercial wineries to make a modest living. Now the next generation has taken the lead, converting to organic practices and co-farming the majority of the 30 acres with Anton of Lucy Margaux Vineyards. 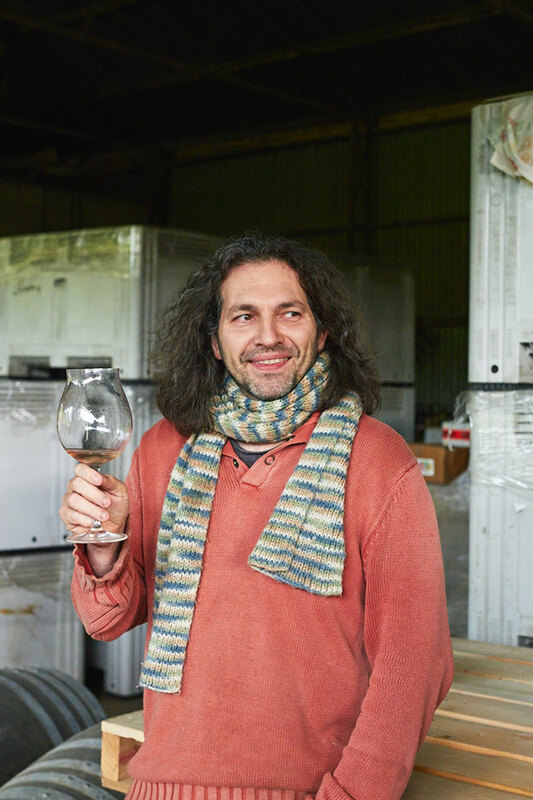 Anton believes that this style of winemaking requires an open and highly involved connection with the vineyard. “If you don’t have an intimate relationship with your vineyard, whether you’re buying the fruit or not, I would say that’s not natural wine. You can’t just buy organic fruit and not add anything to it. 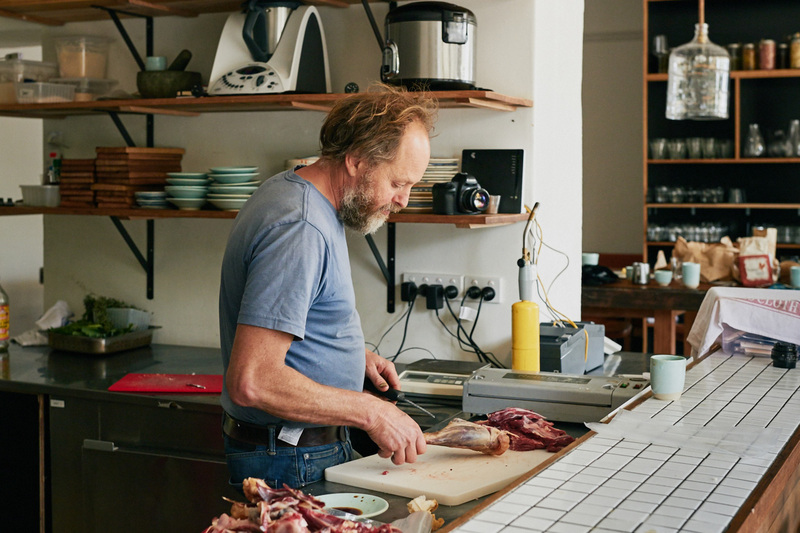 So it’s integral to the method that we make.” Jasper agrees that connection is vital in small production. 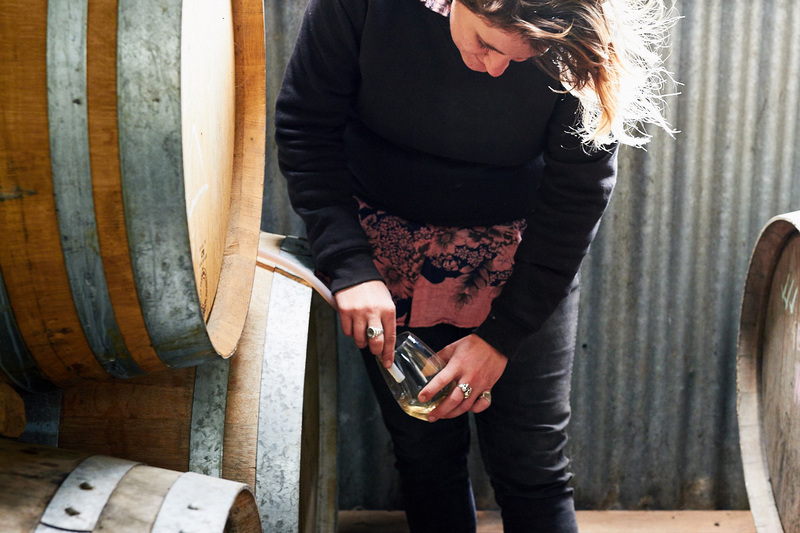 “If you want to take it seriously, you have to have a hand in each of the processes.” James intentionally acknowledges his viticulturist Fiona Wood among his labelling to encourage recognition for the pivotal role growers play in shaping the final vintage. “Fiona is integral. It’s her energy and ideology that goes into the farming. For me, that’s what creates a very unique starting point. There’s simply just no recognition in Australia for growers,” he says. This highly attentive, hands-on practice validates that minimal intervention doesn’t mean minimal involvement. This progressive cohort are not championing minimal intervention wine because they don’t want to be involved. Rather, it’s the opposite. They’re creating challenges for themselves that any sensible winemaker wouldn’t create for themselves. This approach is also demonstrative of how far we’ve diverged from ancient winemaking. Somewhere along the line we thought we needed to make artificial additions at both the viticulture and vinification stages to control the end product. “When we started out, the idea of not adding acid was huge; the idea of not adding sulfur was impossible; the idea of selling wine to the French was crazy. The paradigm has been smashed,” James says. It’s an anxiety-inducing experiment, where precision is applied to picking time, while ferments are left to nature’s chosen direction and a little bit of oxygen can dramatically alter a wine’s intended course. “You can control the growing to an extent, but when you’re making wine without additions, you’ve just got to guide it along. You can’t control it sometimes,” Gareth explains. The interaction between this Basket Range outfit is almost like an incubator for a greater reconciled community on a national and global scale. “Because it’s becoming more and more diverse, I think one of the biggest challenges for Australia is people getting on together and drinking together. And they don’t need to drink the same wine or have the same political or social beliefs, but it’s quite nice to just say, ‘We don’t agree on anything, but I can still drink and eat with you. It’ll make the world a more pleasant place’. Maybe that’s what makes our region a little more advanced, that we’re always getting along and finding a way to work through differences—which are quite large because we’re all emotionally involved in what we do,” Anton reflects. Chronice Display and Ideal Sans by Hoefler & Co.
Scrag End is independently published for the love of food, our planet and its people. Copyright 2013-2019 Scrag End and the individual contributors.